Thanks to the Associates and Associate Principals for putting together a Fat Tuesday Supper Club at Andy's house last night! 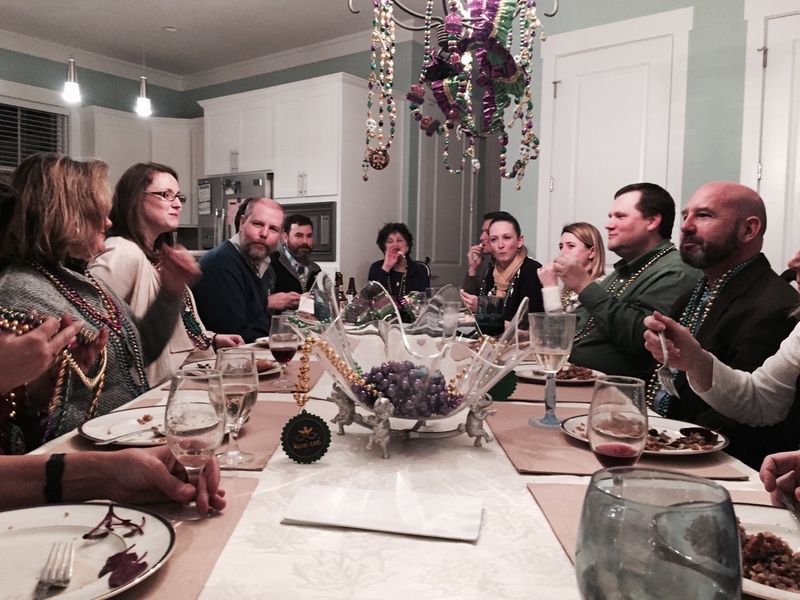 The menu included deconstructed muffulettas, jalapeno poppers, mardi gras themed salads, Andy's famous jambalaya, several homemade desserts and a King Cake (obviously, can't have a Fat Tuesday celebration without one!). There were definitely enough beads to go around! Hope everyone had a fun Fat Tuesday!